Ok, this one is kind of cheating, because it's an August release, but it's the end of the month, so I'm going with it. Also, it's a sequel, which I wasn't planning on doing, BUT, I just had to add it because I love it so much more than the first book. I know a lot of people loved Throne of Glass, but for me it was just ok. But all the things that bothered me in book one have been totally improved in Crown of Midnight. There's so much action, and Celaena is seriously fierce! Gone is the "telling but not showing" that has been complained about. Trust me....there's a lot of showing. It's bloody, it's intense, it's romantic, it's heartbreaking. I feel like Celeana has done some serious growing up in this book, and I loved every minute of it! So, even if you weren't crazy about the first one, I really recommend giving Crown of Midnight a chance. Ok, guys....I just can't even explain to you how much I loved this book. If it wasn't my favorite book of the year, I don't know what was. 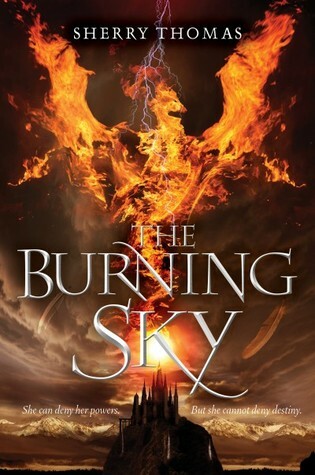 The Burning Sky opens with an amazing introduction that hooked me immediately, and I loved every single page that came after. It was magical! I almost felt a Harry Potterishness about this world. Like if Harry was reading his History of Magic book, this story might be in it. Only it wouldn't be boring...at all. There was magic and mystery and a beautiful slow romance. I loved that Iolanthe had to pretend to be a boy at an all-boys boarding school. THIS BOOK IS EPIC!! EPIC I TELL YOU!! The world-building was fantastic, and the book has it's own story arc while still staying open to the future storyline. I had all the emotions while reading it, and when I finished, I just wanted to pick it up and read it again. In fact, I'm thinking about quitting this post right now and re-reading it. If you like fantasy, magic (mages), romance, or if you just like reading amazing stories, you must read this book. Please, buy it now! And Expect Magic. If The Burning Sky was my favorite book this year, All Our Yesterdays certainly gave it a run for it's money. I was seriously shocked by how much I loved this book. I'm not usually a big fan of Time Travel books because I spend way too much time thinking about how things don't line up, or how unbelievable it is. I didn't feel that way at all with this book. I don't think I've felt such a rush from a book since I read The Hunger Games. It was just non-stop, heart-pounding, intensity! Then there was the plotting. 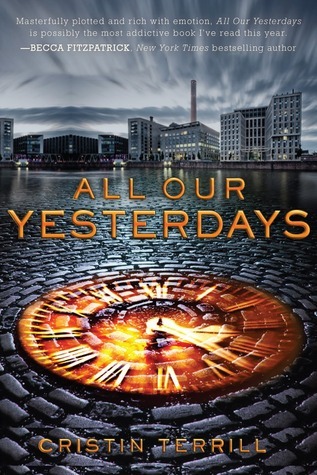 All Our Yesterdays was just pieced together so brilliantly. There's a moment in the book when you just stop and think, "Wow....that just happened." The love story was so amazing, and unexpected, the twists were just awesome, and the action was perfect. With paradoxes, mysteries, assassinations, betrayal, friendships, a completely sinister enemy, and a heartbreaking realization, this book has everything that anyone could possibly want in a book. All Our Yesterdays may be a time-travel book, but it's the fascinating story that makes it one of the best books of the year. So fantastic! I'm going to it say up front, The Coldest Girl in Coldtown may not be for everyone. It's definitely a little on the strange side, and, of course, it's about vampires, but I loved it. These vampires are dark and dangerous, and the opening scene of the book is.....quite troubling, and not for the faint of heart. Fans of Melissa Marr, Laini Taylor, & Nancy Holder will eat this book up. With a fantastically courageous protagonist, a dangerous romance, and a host of vampires ready to feast on the world, this is a book that will get your heart racing, and maybe make you squirm. A word to the wise, if you scare easily, read this one in the daytime.....with a wooden stake nearby. Ok, I'm going to be honest. I haven't actually read Fangirl yet. But there's a really good reason, and I had to give you contemp lovers something, right? I recently listened to Eleanor & Park, also by Rainbow Rowell, and absolutely loved it. When I spoke to Rainbow at BEA this year, she said the same narrator reads for Fangirl that read for E&P, so I'm waiting for the audio. 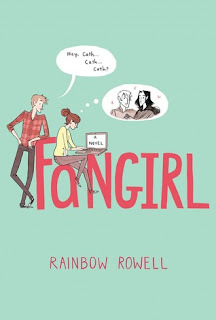 I've heard nothing but amazing things about Fangirl, though, and have heard from many that it's even better than E&P, so I'm going out on a limb and recommending this one "sight unseen." I'm sure I won't regret that! 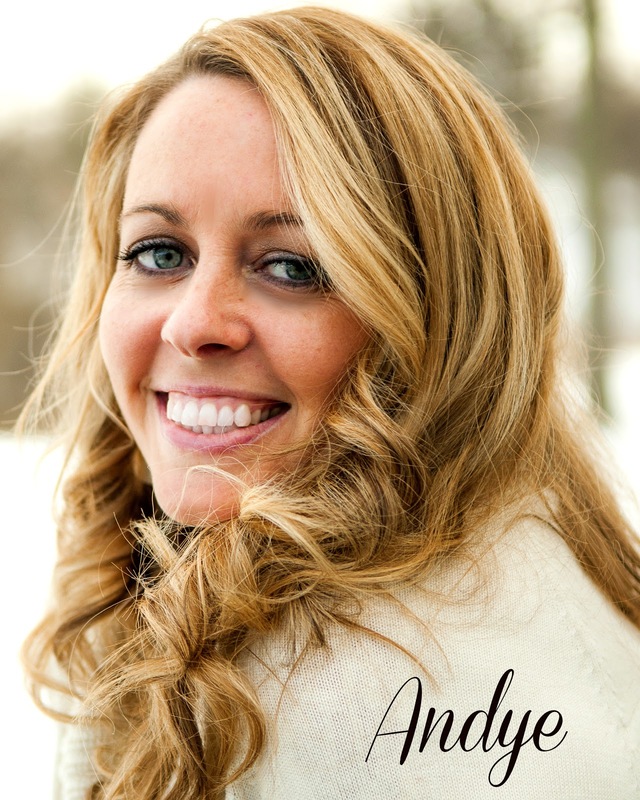 If you're a fan of audiobooks, you should really try the audio! So, that's my list for September releases! Do you have any must reads to add to the list? Let me know in the comments! these are all awesome picks. i really need to read crown of midnight soon and burning sky sounds awesome. 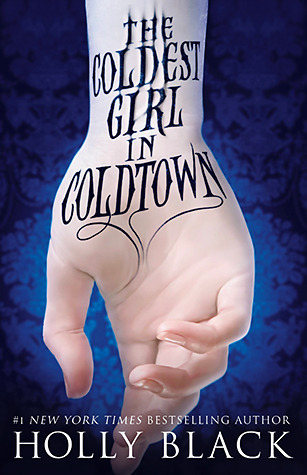 i also really want to read coldest girl. so many great fall reads! You'll have to let me know what you think of them! Great choices. 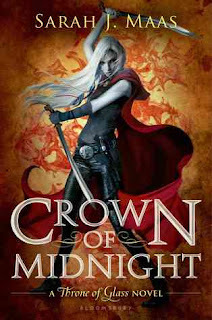 I loved All Our Yesterdays and can't wait for Crown of Midnight. I've heard great things about the other ones too. I actually picked up Fangirl and Burning Sky at BEA, but I haven't read them yet. I have Holly Black's book on order. There's quite a few good ones out his month that I know I won't get them all read. I know what you mean! That's actually why I decided to do this post. I thought, even though we can't read them all, we should all at least read these! I can't wait for Fangirl! Rainbow Rowell is an amazing author. The Burning Sky looks really good, too. I'm reading The Chaos of the Stars now, which is also a September release, and it's great so far! I'm so glad to hear The Chaos of the Stars is good!!! I've seen mixed reviews so I was nervous. I wasn't the biggest fan of the first book, but a lot of people really loved it. It's a pretty easy read, especially considering it's high fantasy. I loooooved All Our Yesterdays!! !